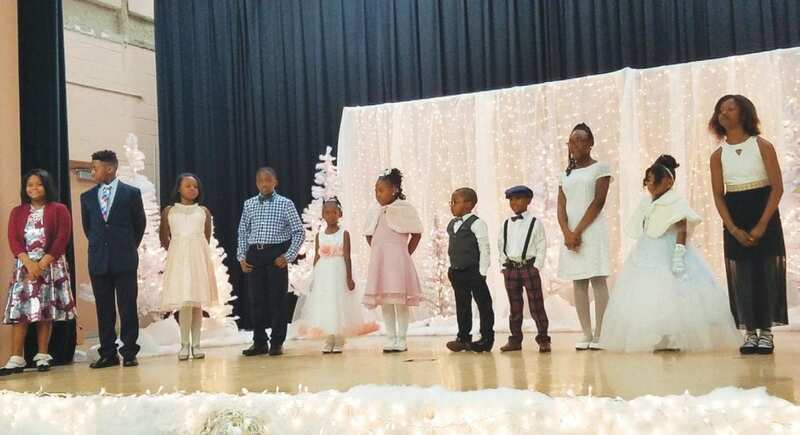 On December 9th, The Elmore Theatre at Savannah State University was transformed into a “Winter’s Wonderland” as The Savannah Chapter of Top Ladies of Distinction, Inc. celebrated The Kiddie Kotillion and Beautillion 2018. 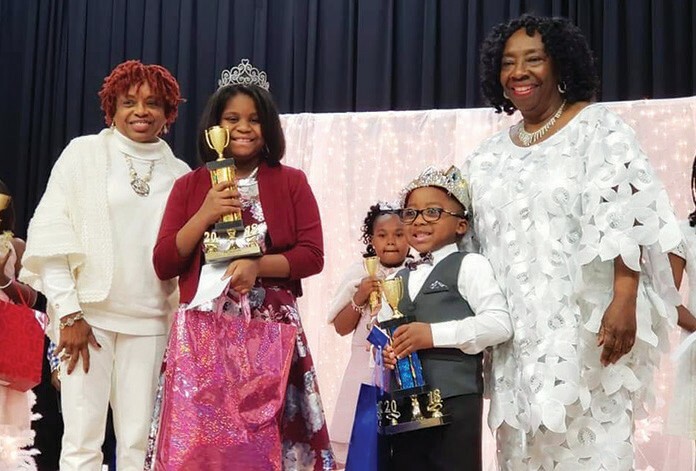 The winners of the crowns and titles were Ms. Samaria Stanley and Master Ahmed Keen-Avery, Jr.
Ms. Samaria Faith Stanley is the daughter of Mr. and Mrs. Ahmed and Sondra Stanley. Mr. Ahmed is the son of Lady Andrea Keen-Avery and Mr. Ahmed Keen-Avery, Sr. This year’s program was dedicated in memory of Lady Swannie Moore Richards, who was a group chair for the first Kiddie Cotillion/ Beautillion. Her hard work for that event helped her group’s contestant win the coveted award. Special thanks to the Effingham Chapter of TLOD for their participation and support. The other contestants were all winners, too. They presented some outstanding talent and poise as they delighted the audience with their dancing, poetic presentations and musical abilities. Kaleb Isaiah Ceaser is the son of Ms. Sherri U. Gardner and Mr. Isaac B. Ceaser, Jr.
Hailey A. Hayden is the daughter of Mr. Melvin R. Hayden and Mr. & Mrs. Joseph and Aja’ N. Snowden. Robert Kennedy, lll. is the son of Mr. and Mrs. Robert and Monique Kennedy, Jr.
Jaleyah Jadyn Marie West is the daughter of Ms. ShaCondria West. Kamani Denise Davis is the daughter of Ms. Tanisha K. Davis and Mr. Nehemiah Jones. Derrick Deontray Wright is the son of Lady Tahisha Wright and Mr. Derrick Wright, Sr.
Jacari Alicia Armstrong is the daughter of Ms. Candra Armstrong. Emri Samone Lamar is the daughter of Ms. Tanika Lamar and Mr. Robert Lamar. AnKiana Necole Griffin is the daughter of Ms. Katrina Simmons Griffin and Mr. Darryl Watts.